Hello and welcome to Online Writing Pro! I’m so glad you’re here. My name is Angela Atkinson and I’ve been making my living writing online since 2005. Back then, I left my corporate job and started out with blogging. Soon, I moved into content mill work – which helped me get my feet wet before I jumped into the freelance writing and editing world with both feet. That led to my becoming a real-life, working freelance writer, and I spent the next seven years doing quite well for myself working with a variety of private clients, doing writing and marketing work for them. I became a recognized expert in online freelancing and publishing, along with social media marketing. As time went on, I returned to my roots – journalism – during an almost 3-year stint with the now-defunct AOL Patch sites – I was a reporter and interim editor for 24 editions in the St. Louis area. I published my first ebook in 2010, and a few more between now and then. In August 2013, I launched my publishing company, BlissFire Media, and at the time, continued blogging and working with my private clients. In October of 2013, certain personal events in my life caused me to reevaluate everything I was doing, and I took a step back to reevaluate a bit – but in the meantime, I continued blogging and writing. I just stopped working with all but a select few of my private clients. I went to school to become certified as a life coach after that, and completed the course to earn my certification in September 2014. That led to my next adventure – focusing on publishing my ebooks in order to be more focused on my own projects and less on those of my clients – and eventually, the goal is to be completely financially independent through the sales of these ebooks. So, in February 2015, I launched an aggressive publishing strategy – I’ve been pumping out books at a rate of at least one per week since then, and now, I’m calling this an experiment. I’m also working on a series for my fellow bloggers – it’s called The Blog-Fire Method. You can learn more about that right here. There are lots of great freebies there, too! That’s why I launched this site. After having been one of the founding members of the (now defunct) WM Freelance Writers Connection, I know that my journey can be useful to my fellow writers. So here’s where I share information I’ve learned on how to succeed (and what NOT to do when it comes to online publishing), and general publishing news. I’ll also be adding various courses, ebooks and other resources to this site which will be geared to my fellow writerpreneurs – writers and entrepreneurs. And between you and me, a new coaching package is coming soon for new bloggers. This will be coming in the next month – so stay tuned! 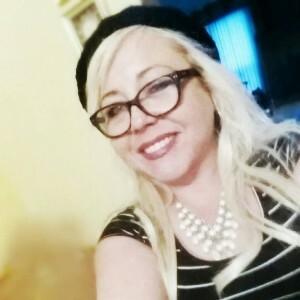 Since 2005, OWP editor-in-chief Angela Atkinson has been making her living online through blogging, freelance writing, social media marketing, blog coaching and more. It's our philosophy to pay-it-forward! We were broke writers one time, too, and that’s why we offer so many free and inexpensive (but MOSTLY free) options for self-training right here on the site. Get My Free Newsletter & Stay Up to Date!